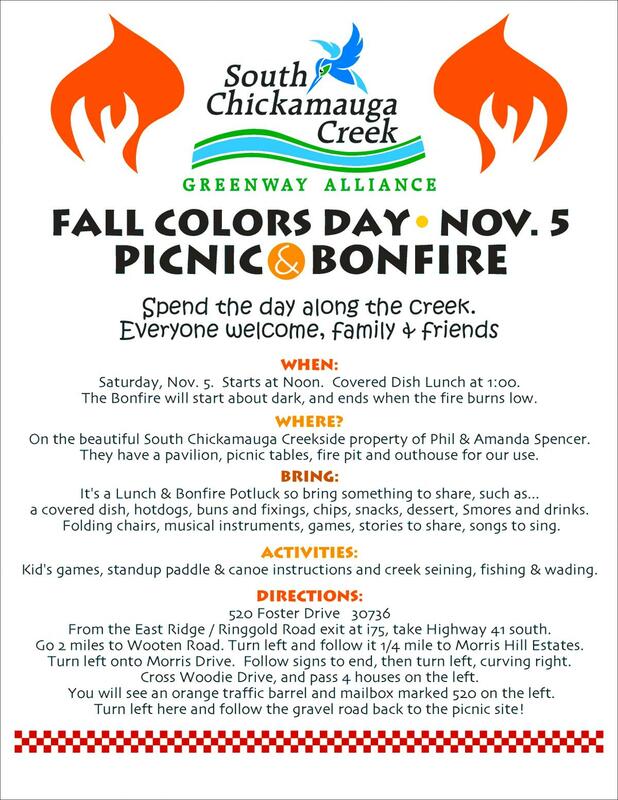 Saturday, November 5 from 10am til whenever the owl calls South Chickamauga Creek Greenway Alliance will be offering a picnic and bonfire along South Chickamauga Creek. We have done this for several years now and the gathering is always much enjoyed. We will have the opportunity to fish, pull a seine and tell folks about what we admire along with other activities. I am considering to camp overnight, the weather has been wonderful lately. We are nearly at a 17" deficit in rainfall this year but the creek, though low is almost crystal clear. I plan to snorkel it this tomorrow. We catch a lot of diversity in the varied habitats Phil's property offers. It was a mighty fine time. Love that location... tell us more... did y'all get in the water?